A system of lava caves including one considered as the longest lava cave of Southeast Asia has been discovered in the southern province of Dong Nai, according to researcher Truong Ba Vuong of the Viet Nam's Institute of Tropical Biology. Researchers from the institute and Germany have surveyed and discovered the system of 11 caves for two months and found the caves formed after an eruption. 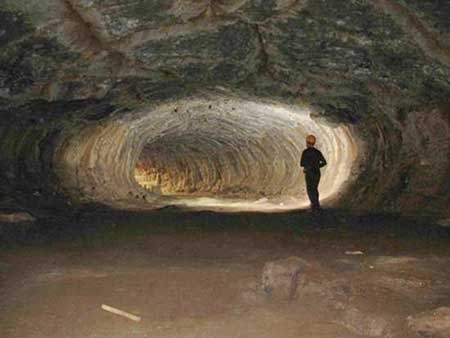 The longest cave found is Doi (Bat) Cave which is separated by a geological collapse and rupture that created two additional caves called Bat Cave 1 and Bat Cave 2. The largest section of the cave is about 426m long, 4m high and 10m wide. The explorers consider it as the longest lava cave in Southeast Asia as Gua Lawah Cave in Indonesia, the current longest one, is 400m long. The local authorities have called the people to be aware of protecting the complex and stop catching bats in the cave to preserve ecological environment of the site.